First, I'd like to say thanks to Jason McIntosh, Kevin Jackson-Mead, and Andrew Plotkin for the opportunity to write this series; it's been extremely useful to have a forum for clarifying my own ideas on magic systems. I'd also like to thank everyone who read and commented on each blog entry. Your feedback has been very helpful, often bringing new games to my attention as well as offering helpful insights into existing games and concepts. When Jason and Kevin first mentioned the idea of guest-blogging on the Gameshelf, we agreed that a limited duration of a couple months made the most sense, in part so that other guest bloggers can carry forward the mission of the Gameshelf in many exciting ways. And, while in one sense I'm wrapping up this particular series, I feel more like radiating outward in many directions, because the opportunity to write here has inspired so many ideas for further exploration. Magic is an explosive nexus that doesn't react well to being contained or bottled up. It's best to answer the question: where next? And the inevitable answer is: many directions. 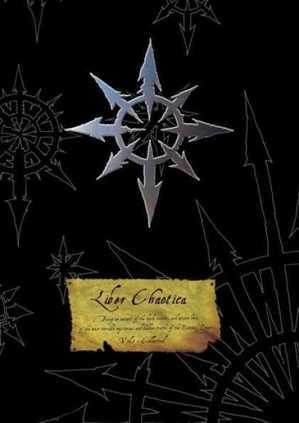 This installment is written under the aspect of the sign of chaos (as invented by fantasy writer Michael Moorcock and adopted equally in games like Warhammer 40k and Peter Carroll's occultist movement Chaos Magick). In its positive sense, chaos is a signpost pointing toward a multitude of possible paths, liberating creative energy rather than confining it. 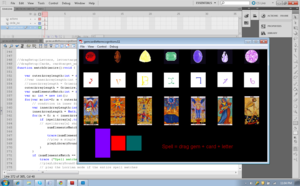 As far as my own creative work goes, I'll be posting a new video of my Arcana Manor interface on Youtube soon, since I now have working code in the form of drag and drop elements of spell grammar feed into array, as well as a function for matching the changing contents of this array with a database of spells. Using GlovePie, I now have keyboard input controlled by voice, as well as drawing input via the Grafitti bitmap drawing library in Actionscript 3.0. I'm currently working with mouse gesture recognition libraries in order to allow drawing gestures to be fed to the array, thereby making drawing a fully integrated aspect of the interface. Continue reading Magick Systems in Theory and Practice, Installment 8: Conclusion. Tags: games, magic, magic systems, magick, transmedia, video games. 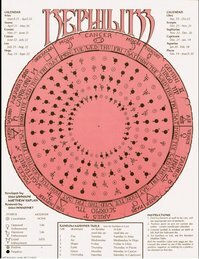 Since this blog series is called "Magick Systems in Theory and Practice," I feel that I should talk about my own practice in terms of concrete design of magic systems. For the past year and a half or so, I've been working on a project tentatively (and perhaps temporarily) titled Arcana Manor. For the sake of consistency, I'll reproduce some of the most recent design document, starting with the game's elevator pitch. 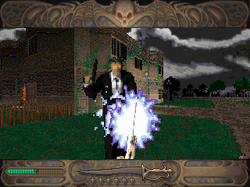 "In Arcana Manor, the player wields a uniquely immersive and symbolic magic system to defeat the demons of a surreal Gothic mansion and unlock its secrets. Arcana Manor is a ceremonial magick simulator with an elaborate system of gestural sigils, incantations, colors, and sounds that makes players feel like true adepts, not mere button-pushers. • to be learnable, in part, through experimentation and trial-and-error so that there will be mystery surrounding the system; while the system is rigorously rule-based, a part of magic should remain magical in the sense of unpredictable, hidden, and knowable only through direct experience. The conceptual framework of the magic system is based on ideas derived from authentic mystical and occult lore, in which magic is a metaphor for the power of the creative imagination. Aleister Crowley, Liber 777: 'There is a certain natural connexion between certain letters, words, numbers, gestures, shapes, perfumes and so on, so that any idea or (as we might call it) "spirit", may be composed or called forth by the use of those things which are harmonious with it, and express particular parts of its nature.'" Continue reading Magick Systems in Theory and Practice, Installment 7: Arcana Manor. Tags: actionscript, arcana manor, flash games, games, magic, magic systems, magick, torque, unreal engine, video games. Gestural input is to some extent inherent in the language of magic, as seen in the phrases to "cast a spell" and to "weave an enchantment." 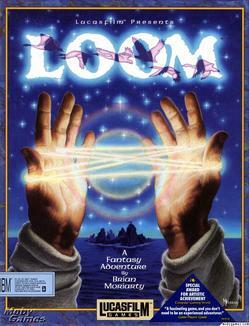 The fantasy of weaving magic can be vividly seen on the cover of LucasArt's Loom (1990), in which two hands weave a glowing cat's cradle out of multi-colored light. (While Loom lacked any kind of gestural interface, its unique mode of musical spellcasting and melodic feedback will figure heavily into a later blog entry on multimodal feedback and audio magic.) Gesture is also an integral part of occultist approaches to magic, ranging from the pentagrams and hexagrams traced in the rituals of the Golden Dawn and Thelemic magick, the sigils drawn by Austin Osman Spare and Buddhist kuji-in mudras later adapted in the ninja-themed anime series Naruto. Closely related to the idea of gestural magic is the verbal component of spell-casting, which appears in colloquial speech as a magic word. From David Copperfield to Harry Potter and the 2010 Sorcerer's Apprentice remake, the image of a wizard waving a wand and intoning a word in order to release a powerful magic spell pervades public consciousness of enchantment. Magic words are a direct extension of the arcane grammars that govern ritual and the combinatorial systems of runic languages discussed in the first installment of this blog series. Voice recognition software, now a standard part of Windows and readily available in more precise programs such as Dragon NaturallySpeaking, could heighten the immersive possibilities of incantation as a spellcasting method. Gestural input, in which players use a variety of input devices to trace symbols or fashion other secret signs with hands and body, is also especially relevant from a technological perspective after the 2010 E3 unveiling of Microsoft's Kinect (formerly project Natal) and the Playstation Move. These devices offer new levels of motion sensing technology, in addition to existing alternative input methods in the Wiimote and Wiimotion Plus, the Playstation Eye, and the force-feedback controls offered by the Novint Falcon. Each technology could be leveraged for new methods of casting spells, provided that designers can break out of the prevailing tray-of-icons approach to magic represented in many popular RPG's. Envisioning the most creative use of new gestural and verbal technologies requires, paradoxically, an enterprise of game archeology, looking back into the history of games with magic in a search for hidden gems of unusual interfaces and input methods. Retro gaming and scholarship of retro games can offer a perspective on magic systems before they hardened into a single mold and became homogenized by marketing and ease of use or implementation. Continue reading Magick Systems in Theory and Practice, Installment 2: Word and Gesture as Input Methods in Gaming History. Tags: black and white, castlevania, DS, dungeons and dragons, games, gary gygax, gestural interface, gesture, GlovePie, jack vance, Kinect, magic, magick, Okami, The Summoning, verbal component, video games, word. I am pleased to introduce Jeff Howard, The Gameshelf’s first guest blogger. Jeff is Assistant Professor of Game Development and Design at Dakota State University in Madison, South Dakota. He is the author of Quests: Design, Theory, and History in Games and Narratives. He received his B.A. from the University of Tulsa and his M.A. and Ph.D. from the University of Texas at Austin. 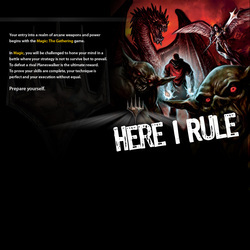 He is currently working on a game-in-progress, Arcana Manor, and related research about magic systems. 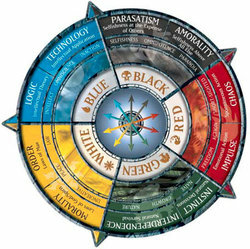 A magic system is any set of symbols and rules designed to rigorously simulate supernatural powers and abilities. Magic is pervasive as a game mechanic and fictional construct within games, spanning across genres (RPG, MMORPG, adventure game, action-adventure, fighter, survival horror) and decades (from the 1974 first edition of Dungeons and Dragons to World of Warcraft and beyond). Magic is part of the very nature of why people play games: to simulate abilities that they do not possess in real life; to escape from the prison of the mundane to the realm of enchanted; to weave the chaotic forces of life into a rule-bound system that can be understood and, at least partially, controlled. The problem is that many magic systems aren’t very magical. RPG’s, both multiplayer and single player, have the same shortcoming: players press a button on a tray of icons, then watch an animation fire, followed by a cooldown period, after which players press the same button again. This process of spamming a hotkey button or two, cued to one’s most powerful spells, doesn’t feel like magic. Magic, as depicted in fantasy literature and occult tradition alike, is a complex and arcane art comprised of gestures and words, as well as ingredients carefully combined with ritualistic artifacts in order to draw away the veil between the natural and supernatural worlds. So, the question emerges: how could designers put the magic back into magic systems? Continue reading Magick Systems in Theory and Practice: Installment One. Tags: arx fatalis, black and white, dungeons and dragons, eternal darkness, gestural interface, grammar, grimoires, magic, magic systems, ritual, rpgs, ultima underworld, video games.